Small Businesses are to America's Backbone as Military Service-members are to America's Defenders. Word of mouth is so important in any business venture, including getting the word about your military-discount, your support for military families, your desire to support the military community. Have you told businesses around you, your colleagues or the store-front next door about how they can get the word out? Tell them to become a MilitaryAvenue Partner today. (It is free when they offer a Military Discount to others.) We have new Military Families signing up EVERY DAY to receive our monthly Military Alerts, military-personnel becoming fans of Military Discounts, families in your community dropping by the 'Rewards Tab' at their local installation to learn about the companies that want their business. As a very small way of saying "Thank You" for all of the hard work and sacrifices men and women in the military make, campgrounds and RV parks around the nation would like to offer free camping for active military. Please visit our Camp Locations page to find a participating park near where you wish to spend some R & R. Active military will be required to present active military I.D. at the time of check in. The offer is for active military and members of their immediate family only. Please call the park directly for reservations. Reservations are required. If you know a local Campground or RV Park that wants to go out of their way to help a military-family get reacquainted with each other, by taking a weekend or couple days during the week to go camping, first tell them about MilitaryAvenue.com and then tell them to sign up at Tents for Troops. Let's help spread the word about how the small businesses, America's Backbone, support the military community, America's Defenders. Happy May Day! Are you ready for it? May, that is. So many activities begin this month for the summer! Warmer weather arrives in much of the country and we head outside to work, play, travel and celebrate. Two of the best known celebrations this month are Memorial Day (May 28th) and Armed Forces Day (May 19th). 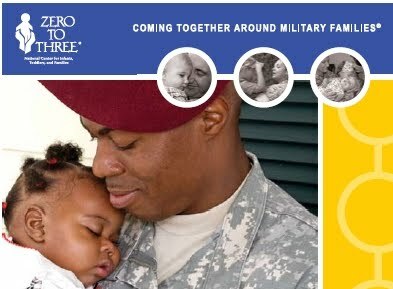 As a child care provider you are at the forefront of supporting these military children and their families. You can be the stability these children need. There is help available for you! Penn State Extension, Childcare and Youth Training and Technical Assistance Program, has a list of resources featuring research-based information, resources, and professional development for childcare professionals serving military connected families. Military Families Learning Network concentrates on the interests and needs of child care providers who serve military families. Here you can discover, share, and discuss resources and collaborate on issues that arise as you provide care and education for young children with parents in the military. This 3-piece set, Honoring Our Babies & Toddlers, from Zero to Three, is designed for professionals and military parents, provides methods to support young children affected by stress, trauma, grief, and loss due to a military parent’s deployment, injury, or death. One more idea check out these free "Salute the Kids" coloring pages for military children. "Sit with your children as they color, talk to them about the drawings, help them express their emotions and urge them to add their own creative touches, making the drawings into their very own art." Keep your eyes on MilitaryAvenue's "Ways to Support the Military Children" for new resources that you can use to care for our children as well as ideas to share with the families you hold dear. You hold these resilient, loyal, strong children close to your heart. So do we. Is Your Business Reaching Out to Military Children on Friday April 13th? It could be this simple! Saying thank you to a military child - maybe they are wearing purple this Friday, April 13th? Are you able to wear purple? A ribbon, a t-shirt, any means to show recognition. Put a face to the military child! 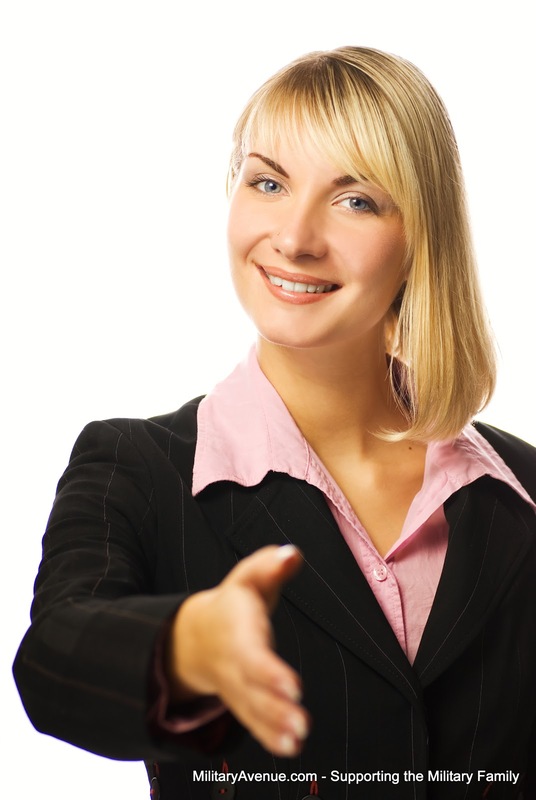 You and your sales staff should recognize them with smiles and a big thank you directly to the child. Think how the parent(s) will appreciate your efforts! April is Month of the Military Child. Take the time and make the effort to recognize these little patriots! April, the month of the military-child, will be here before we know it. MilitaryAvenue.com is prepared to recognize these resilient, strong, and ready to serve children. But we need your help! MilitaryAvenue.com will be having a sweepstakes of prizes for our military-families all month and we would invite you to participate. With your gift (valued over $20, see below for ideas) we will upgrade your MilitaryAvenue Partner Ad to a General's Package for six months. This is over a $100 value. What a great win-win situation. You recognize the military-family and we will make sure you are recognized in your military-community! What kind of things make great gifts for our military families for an online giveaway? Items from your inventory or something you can provide that you can ship to a military family around the world. A Gift card to a local-store is not an acceptable gift since our winners will be from around the globe. If you would like to participate, first of all Thank you! Thank you for recognizing the sacrifices our military-children make. Secondly, send an email to leanne@militaryavenue.com indicating what you would like to give to a deserving military-family. If your offer is accepted we will let you know where to ship your gift and your business card or pamphlet to be included with the gift. * If you already own a General's Package we will upgrade your package to a Featured Partner. Current Featured Partners can take $120 off their renewal. * Do you have more then one Partner Ad? The offer for a free upgrade applies to one of your ads. Is Your Military Discount up to date? Every day we share the best of your military-discounts on Facebook, Pinterest and Twitter. On the first of every month MilitaryAvenue Alerts is published to thousands of members of the military community around the country with your ad shared with your community. Your ad is visible to the Military Community on MilitaryAvenue.com at your base or post 24/7. These are service-members and spouses, the decision makers, that are interested in the latest & most up to date military-discount and -incentive in their area, your area! Do you keep your MilitaryAvenue ad up to date? Your ad should not be stagnant, just like a business-marketing plan isn't stagnant; otherwise it will not grow. April is Month of the Military Child. May is Month of the Military Family. The Friday before Mother's Day is Military Spouse Appreciation Day. Memorial Day is a day of Remembrance. June starts the PCS season. July is a great time to appreciate the freedoms our military have fought so hard to keep. As the calendar changes so does the opportunity to update your ad. Do more then just leave a stagnant message. Let them know your company cares, is current and wants to be part of their community. The most up to date ads are listed first in the Alerts email that is sent out each month. The most up to date ads are more likely to be featured on Military Discounts at Facebook. The most up to date ads are featured on our home page! A great action-item to add to your electronic-calendar is a monthly-recurrence: "Update my ad on MilitaryAvenue". Is my phone number up to date? With a First-Class ad or above you can have a picture. Is your photo up to date? Consider having a standard Military-Discount but then adding something special for that month. Need some ideas? We want to help you reach the military-community! Be sure to put your best foot forward for them. PS: Do you want to receive monthly-Military Alerts also? Sign-up here: http://www.militaryavenue.com/answers/signup.aspx. (This is different then your Business Partner Account!) Be sure to select your nearest-installation when creating your user profile so that we know which 'Alerts' to send your way! 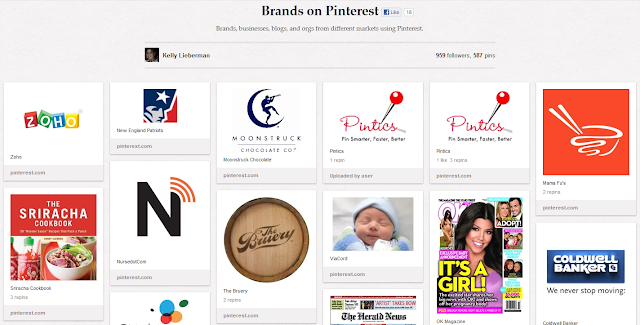 Have you heard of the latest social media blockbuster Pinterest? Has your brand, your business joined in on the fun? MilitaryAvenue has, and it is proving to be a great venue to reach out to our Military Families, particularly military-wives. We have resources from PCSing (moving) to Financial Readiness to Everyday Military Life, even a board for Military Discounts. Click on the image to head over to Pinterest. Once you are there click on any of the images you want to read more about. It will take you to a link with more information. 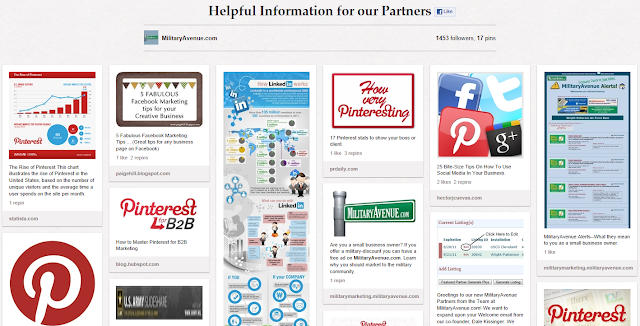 By the way, there are lots of businesses out there with a Pinterest presence. Perhaps yours should be next? Be sure to follow us so that you can share resources with your military community as well.